Good start at Master World League 2017 !! 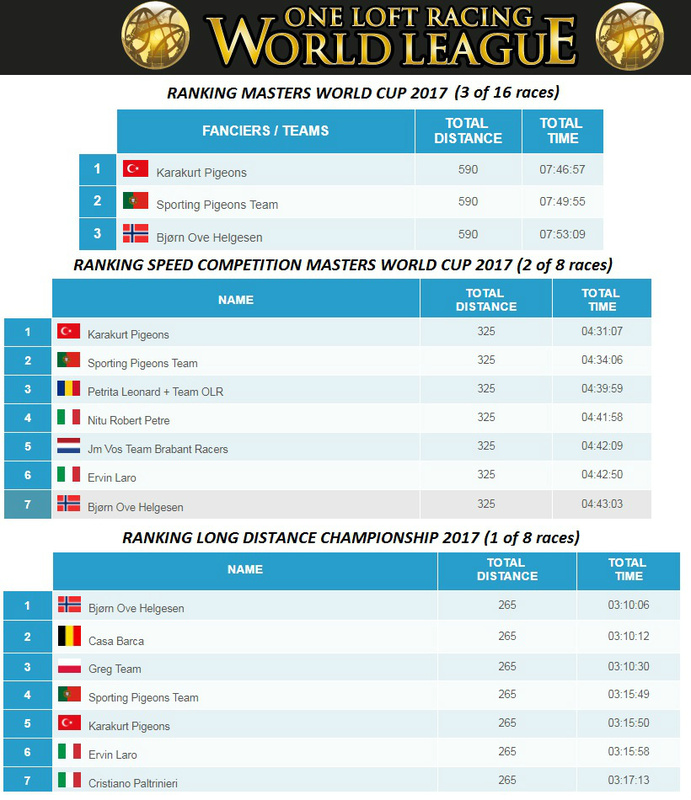 Helgesen Racing Pigeons with good start in the Master World League. So far, this Master World League competition looks very interesting in additional to the ordinary OLR Final’s. We are sure that different forms of competition give even more excitement and interest around the OLR’s.